Official sash in polyester/cotton twill. Made in USA. 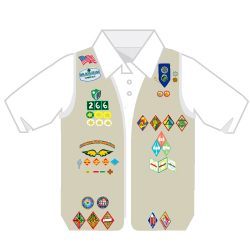 Official Girl Scouts 11-17 Earned Awards and other Official Insignia shown on Sash are sold separately.